Tampa Sweet machine made cigars are made to fulfill any smokers craving in a short period of time. Packed with high-quality Italian and Columbian fillers that are secured in place with homogenized binders and rolled in high-quality natural wrappers. Every Tampa Sweet machine made cigar provides an even burn with a sweet mellow smoke giving out a pleasant aroma on every draw with a long lasting aftertaste. 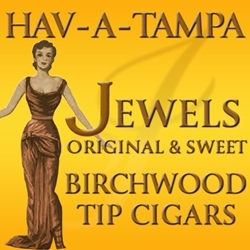 Tampa Sweet machine made cigars are an excellent choice for any cigar connoisseur who love the feel of a hand-rolled cigar but at the discount price of a machine-made one. A great smoke for any occasion. Smokers Discounts has made it easy and affordable to buy machine made cigars online. Call us for more details!